Linda Jensen is Hitachi Vantara Federal’s Customer Service and Support Director. With more than 25 years of experience in the technology customer service industry, she brings Hitachi Vantara Federal the know-how to lead and develop sustainable post-sales support operations, manage customer support initiatives and implement continuous improvement for the company’s customer service and support organization. Responsible for driving consistency and execution for maintenance support services and process improvements through the company’s Colorado based federal customer engagement and support center, Linda is known for her relentless commitment to managing teams to meet and exceed customer expectations, and proactively anticipating potential service issues to avoid delivery disruption. 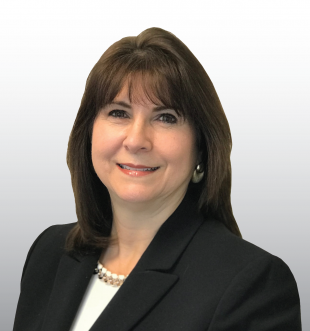 Prior to joining Hitachi Vantara Federal, Linda served as Federal Customer Service Director at EMC Federal where she managed 18 account managers responsible for the customer experience for service and support. Prior to EMC, Linda held positions as the Global Service Account Manager and Federal Director for storage Products at SUN Microsystems and Quantum. Linda graduated from Control Data Institute specializing in Computing Systems and is an active member of Severn River Conservancy.